Down to earth, outgoing and intelligent are just some of the few words that describe Josh Rhyno. As a first year student in the Building Construction Technician program, this 18- year-old from Kapuskasing, Ont. knows what it means to have a good work ethic and be a team player. At first, Rhyno did not always picture himself studying a trade after graduating from high school. Originally, he wanted to join the Canadian Armed Forces or be a police officer. But after doing a co-op placement with a local construction company, and already having a hobby in carpentry, Rhyno realized he could have a bright future in an area of the trades. 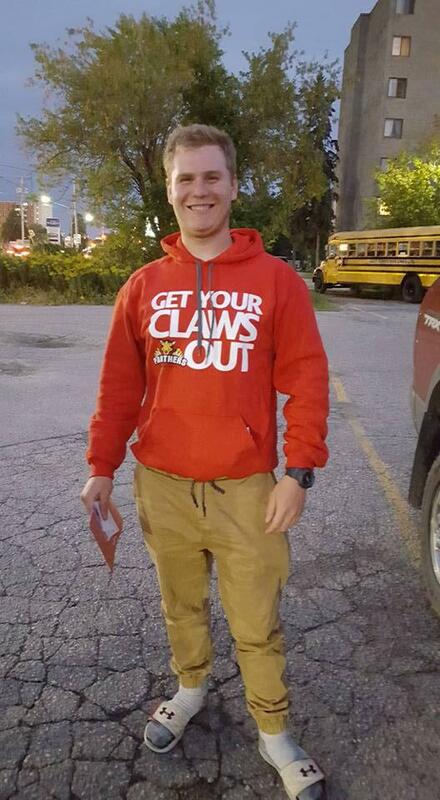 When considering different colleges, Rhyno realized that he wanted stay in northern Ontario. When looking at Canadore, he says that with the College’s good reputation for the trades and having one of the biggest carpentry shops in Ontario coupled with some positive feedback from a close family friend, Rhyno knew that he wanted to attend Canadore in September 2016. Since September, Rhyno has made sure to give back to the college community in any way that he can. Through volunteering at different events, like Fall and Spring Open Houses, he’s shown prospective students and their families how great Canadore and its trades programs are. In fact, after talking with one of his professors, Rhyno learned that the Building Construction Technician program would welcome four new students come September 2017, due to his own passion for the program. After graduating from his program, Rhyno plans on going to work for a construction company. With a willingness to learn and striving to be the best of the best, Rhyno plans on coming back to Canadore for another trade program, like plumbing or electrical techniques, should he have the need to learn more about the trades.